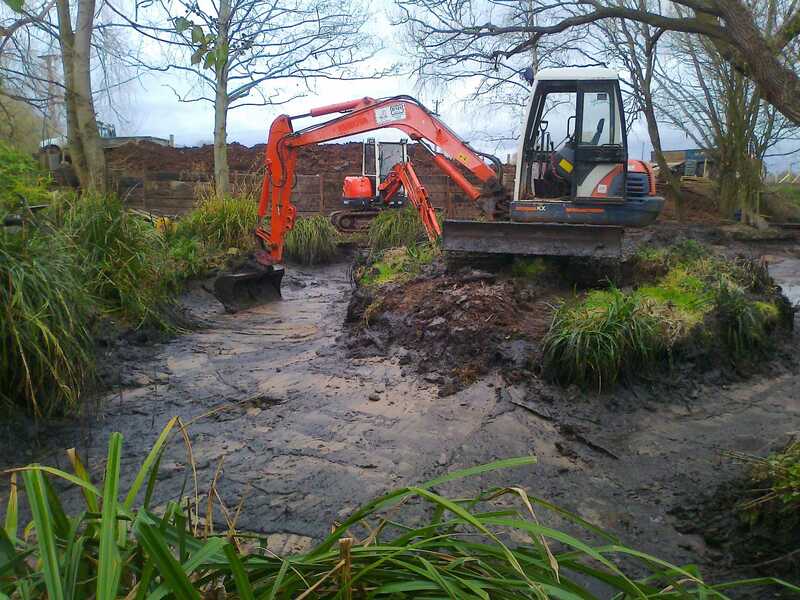 Here we were called in to clean out a heavily silted pond which had restricted access. 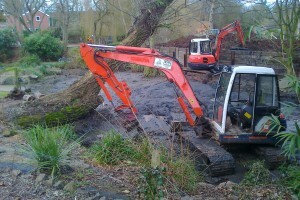 Firstly we removed the water from the pond using a heavy duty pump. 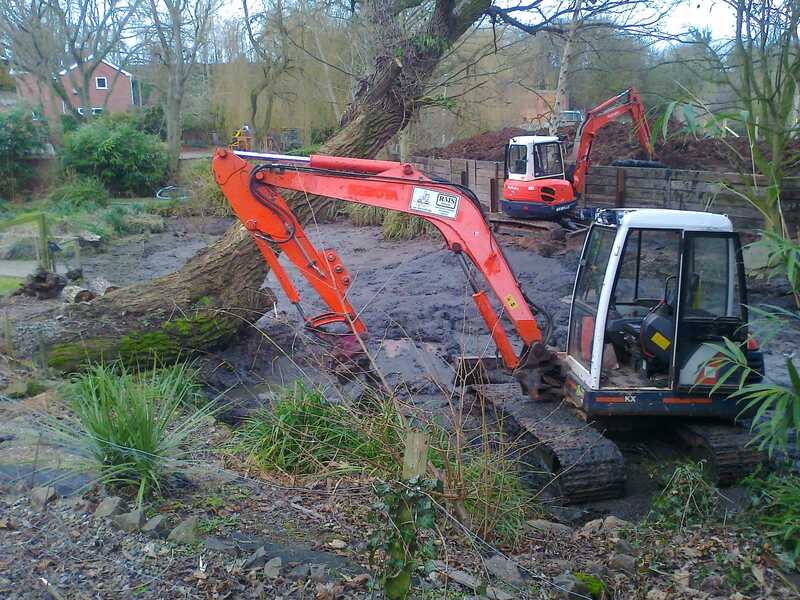 Two five tonne machines were used to gain access to the pond where one machine was used in the pond bed to pass sludge to the other machine that was sited upon the bank. 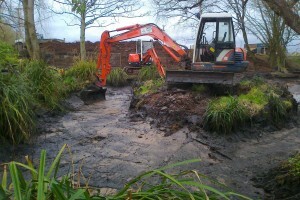 The second machine placed the sludge behind a pre-build sleeper retaining wall where it was left to naturally dry out. The project was completed in two days.